The Golden State Warriors won over the Cavaliers 129-120 in Game 5 to take the Series 4-1 for the NBA 2017 Championship. It was redemption for Stephen Curry from last year's humiliating loss, and celebration for Kevin Durant's first championship. Kevin Durant, this years finals MVP, lead the charge with 39, followed by Stephen Curry (34) and Andre Iguodala (20). 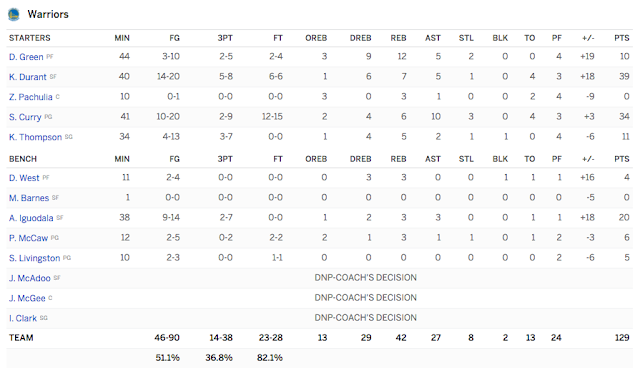 Draymond Green and Klay Thompson took over defensive chores and finished with 10 and 11 respectively. When the all stars had an a cold streak, the deep bench of the warriors held the lead over the Cavaliers until they were thwarted by the onslaught of Durant in the final minutes. 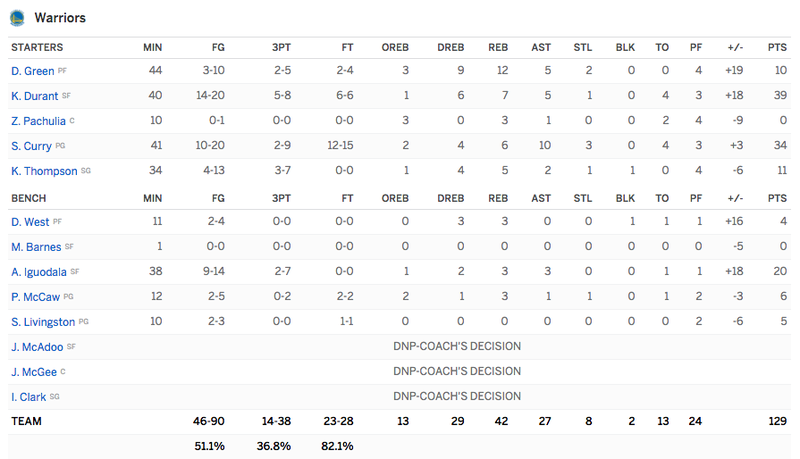 Lebron still had an impressive game with 41 points, followed by Kyrie Irving (26) and JR Smith (25). 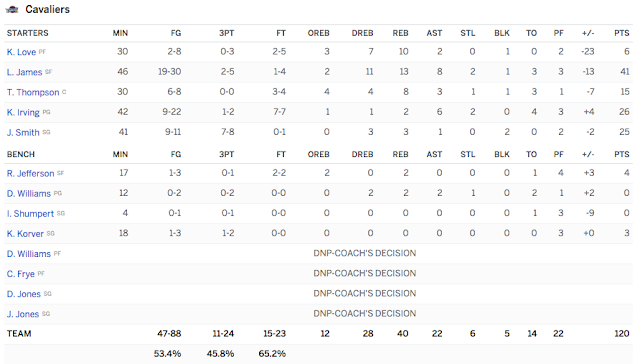 It was the three point shooting of JR Smith that kept the lead of the Warriors within striking distance. Kyrie Irving was still unstoppable with his drives and Lebron James had incredible drives and shooting. Even Tristan Thompson surprised us with a great game finishing with 15 points. 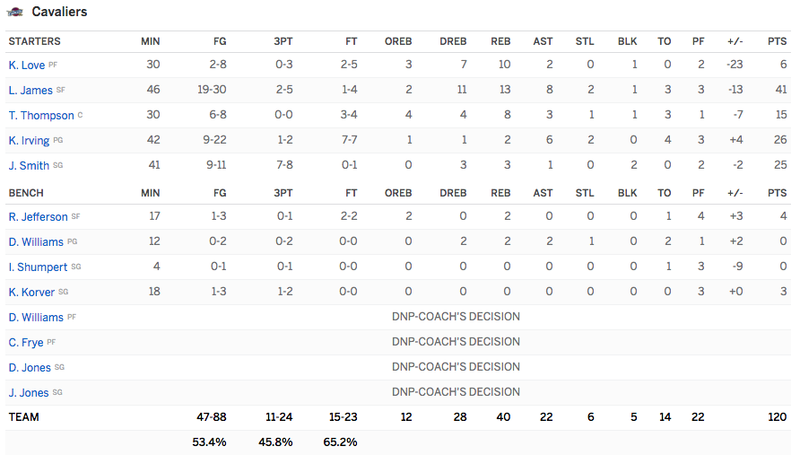 Shooting from the outside was absent as Kevin Love and Kyle Korver were both limited to 9 points combined. The Cavaliers gave out a great defense however the Warriors kept up the offensive plays using its bench throwing off the defense. This kept the Warriors on top for most of the quarters. 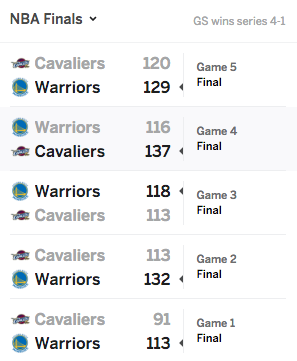 Analysts held that the NBA Finals got interesting starting Game 3 and kept at it until Game 5. 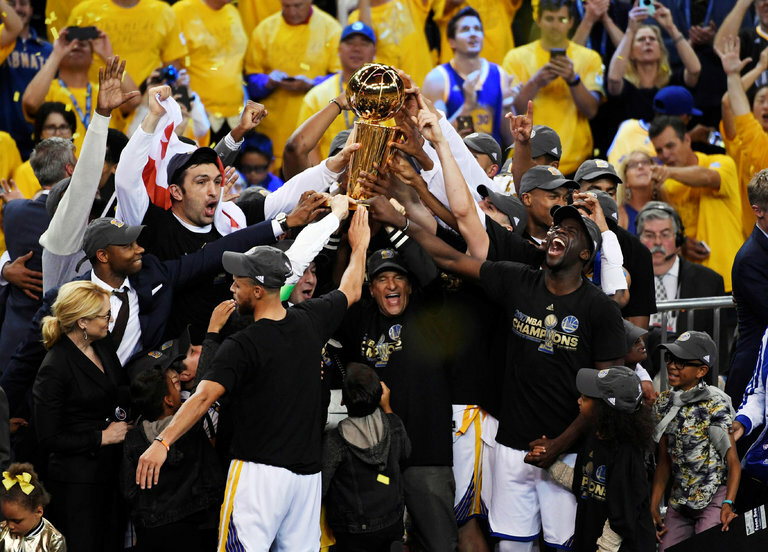 Congratulations to the Golden State Warriors as champions, so do to the Cleveland Cavaliers for giving a good fight. We will definitely see both these teams stronger next year.